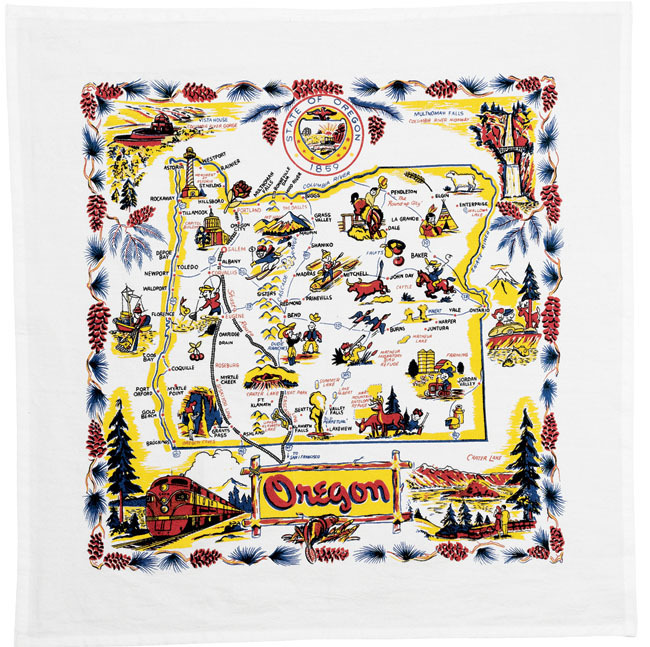 The great state of Oregon, the Beaver State in a fun vintage souvenir map towel. 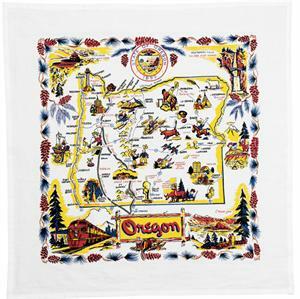 This Geography Map towel of Oregon makes the perfect memento for a memorable trip. 100% Cotton Kitchen Towel measures 22" square. This towel hold possibilities for craft projects are well. Turn this kitchen towel into a quilt square, wall decoration, or pillow front.